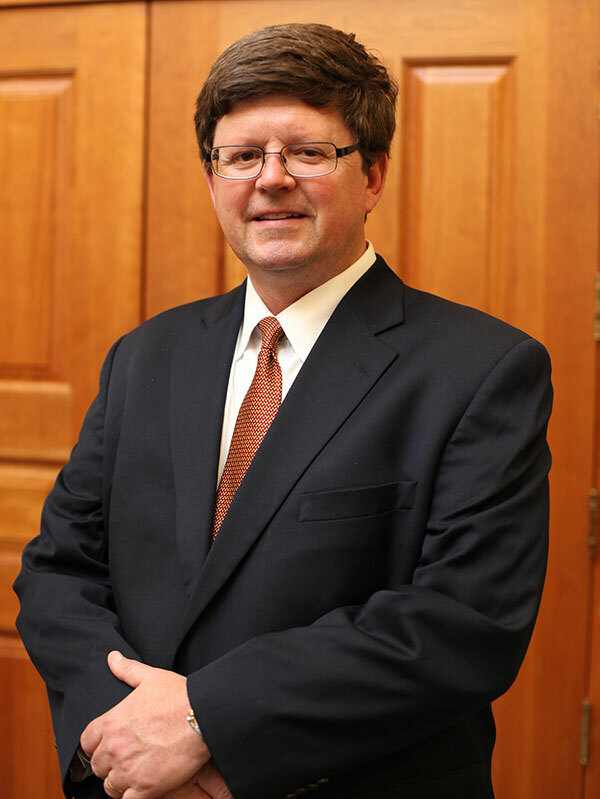 Dean Christian Johnson is the dean for Widener University Commonwealth Law School. Prior to joining Widener, Dean Johnson was the Hugh B. Brown Presidential Endowed Chair of the Law at the University of Utah College of Law. He is a frequent commentator and academic focusing primarily on global capital markets. He has coauthored five books and written over three dozen articles on capital markets and central banks. Before moving to Utah, he was a law professor at Loyola University Chicago for 13 years. Professor Johnson speaks frequently on legal issues involving OTC derivative reforms, capital markets and the financial crisis. He has testified before the U.S. Congress on OTC derivative reforms and made presentations to the staffs at the CFTC and the NFA. In addition, he has spoken and lectured at such institutions as the IMF, the Federal Reserve Bank of Chicago, the Latvian and Irish Central Banks, the London School of Economics, Oxford, Monash University in Melbourne, Osgoode Law School (Toronto), the National University of Singapore, the University of Hong Kong and the University of Stockholm. Professor Johnson received his JD from Columbia Law School (where he was executive editor of the Columbia Law Review and a Stone Scholar) and was an associate for Milbank, Tweed in New York and Mayer, Brown, in Chicago. He was also a CPA for Price Waterhouse. "OTC Derivative Reforms: Comparing the U.S. and the E.U., presented at the Irish Central bank", December 18, 2014, Dublin, Ireland. "The U.S. Federal Reserve and the Great Financial Crisis, presentation to the University of Economics", December 11, 2014, Wroclaw, Poland. “The Transterritorial Application of Dodd Frank Act on Derivatives”, roundtable presentation organized by the Universidad Rey Juan Carlos, presented October 29, 2014, Madrid, Spain. "Understanding OTC Derivative Reforms", lecture at the British University at Dubai, October 13, 2014. "OTC Derivative Markets: Emerging Trends", invited speaker at the First Middle East Conference on Global Business, Economics, Finance & Banking, October 12, 2014, Dubai. "OTC Derivative Reforms", presented to the staff of the National Futures Association, September 12, 2014, Chicago, Illinois. "Understanding Acts of Insolvency in Master Agreements: The Good, the Bad and the Ugly", panel organizer and speaker, ABA Section of Business Law Annual Meeting, September 12, 2014, Chicago, Illinois. Dodd Frank OTC Derivative Reforms: Exchange Trading/Clearing - Where are We Now?, presented to the Chicago office of the Commodity Futures Trading Commission, June 16, 2014, Chicago, Illinois. "Ethics and Accounting for Lawyers", Business Law Section of the Utah State Bar, May 20, 2014, Salt Lake City, Utah.